There are many different species of birds in the area where I live. 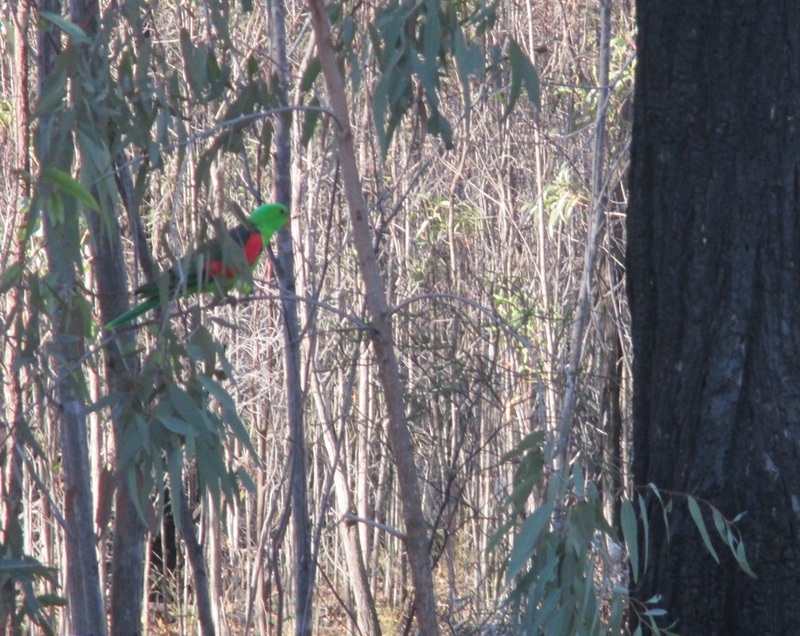 Here are a few photos of some of the wild Australian birds who come to visit me. I like watching them; they all behave differently. 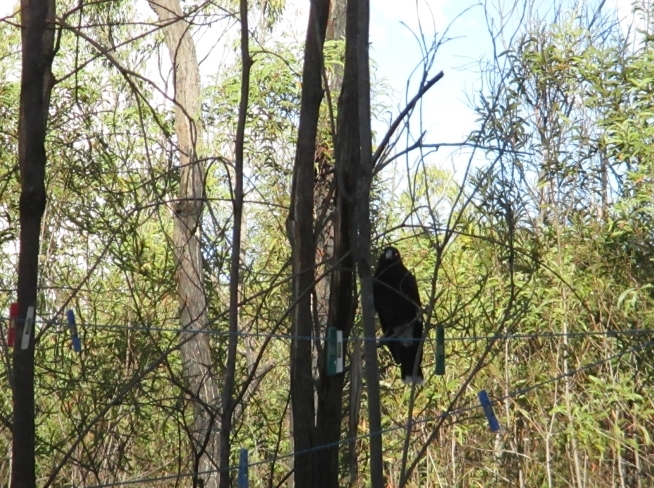 The Pied Currawongs that visit here seem to be quite curious. They like to find things to investigate and pull apart. 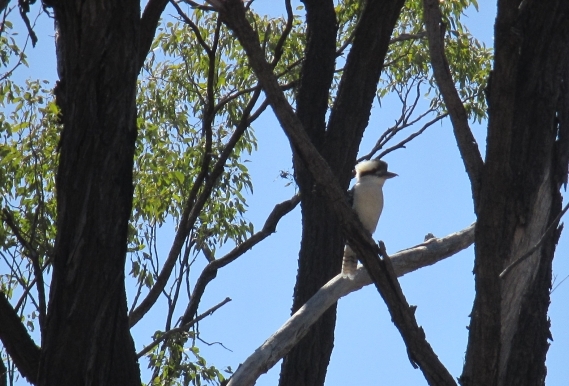 The Kookaburras sit up high in the trees watching observantly. Sometimes they 'laugh'. Often when one 'laughs' the others will start to 'laugh' too. 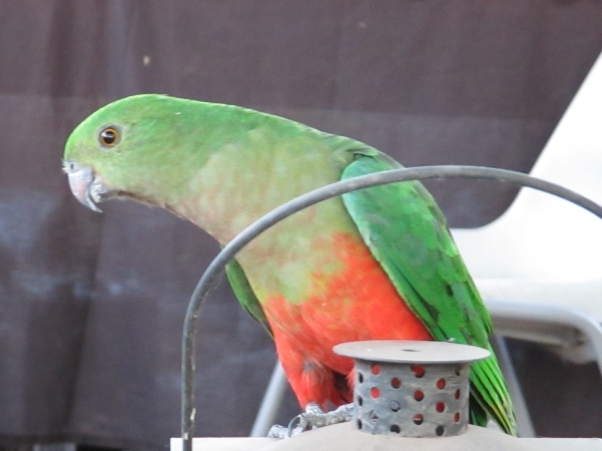 This is a female King parrot. 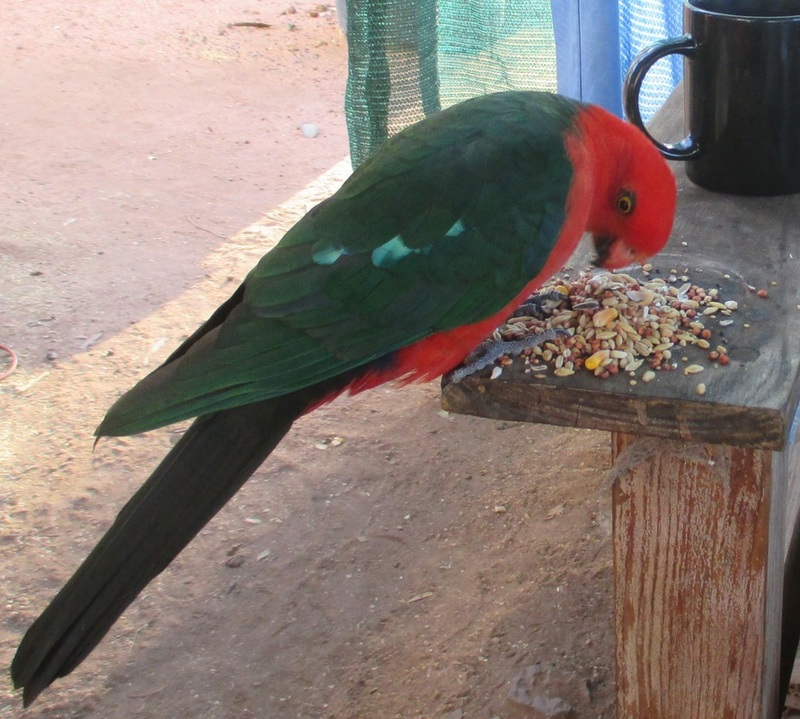 She is a different colour to the male King parrot, but she is every bit as friendly. 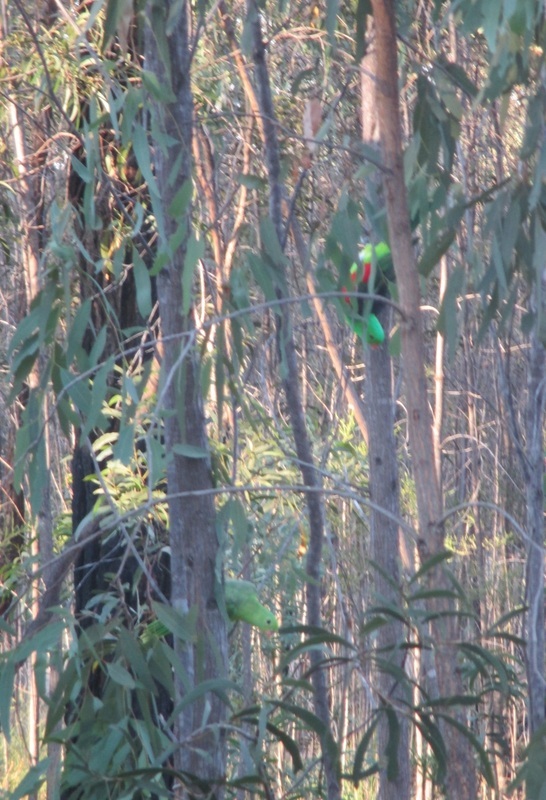 It is amazing how quickly these wild parrots take to interacting with people. Some of them will eat out of my hand, others like to land on my head and there is one in particular who likes to sit on the top of my laptop and make a loud 'Peep' sound until I get him some seed to eat! This is a male King parrot. In this photo he is sitting on the arm of my chair, eating bird seed. He refused to eat seed in the yard with the other birds and made lots of noise until I put some seed next to me for him. It makes me happy to see birds in the wild. I see Sulphur-crested Cockatoos most days; they like to come and have a drink of water or eat some seed early in the morning and also in the afternoon. Sometimes they come to visit one at a time and sometimes they come together in a group. Sulphur-crested Cockatoos can live for a very long time. They can also be VERY loud! I enjoy watching them in the garden despite their loud screeching noises as they are very entertaining. Some people keep them as pets and teach them to speak. Click here to see more photos of the Sulphur-crested cockatoos that come to visit. 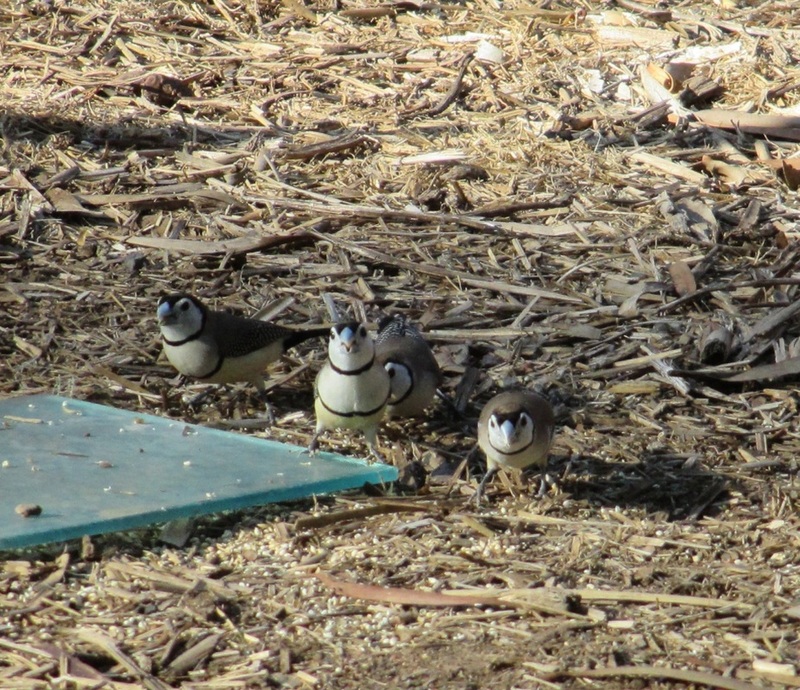 These tiny little finches always seem to hang about in groups. When on the ground they hop about and make very cute 'cheep' noises. The female red winged parrot is not as bright as the male but they are still very beautiful. If you look carefully at the photo above you might spot the female parrot. 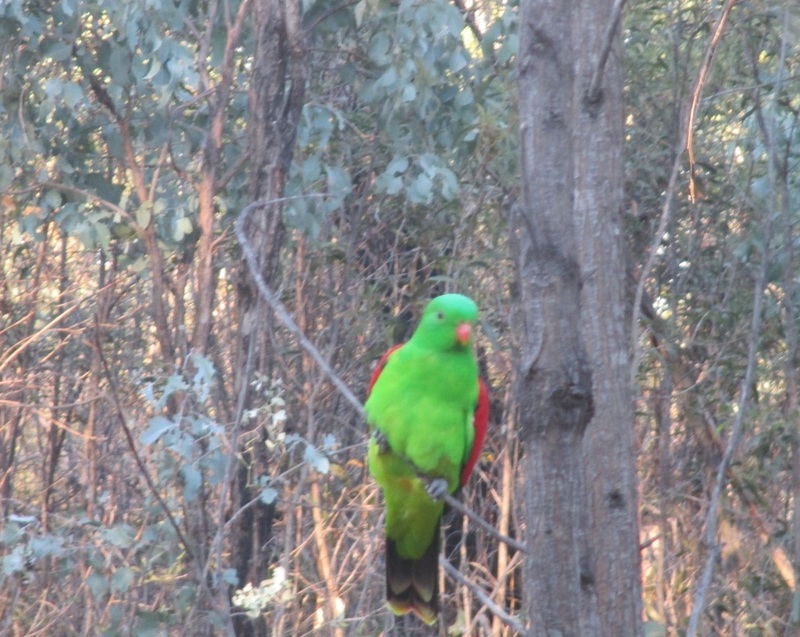 Click here if you would like to see some more photos of the parrots that come to visit.